The Orbel™, conceived of and patented by Dyson Award winning inventor Adam Sutcliffe, within the accelerator programme run by Imperial College and the Royal College of Art London was highlighted as ‘the next big thing’ by James Dyson. 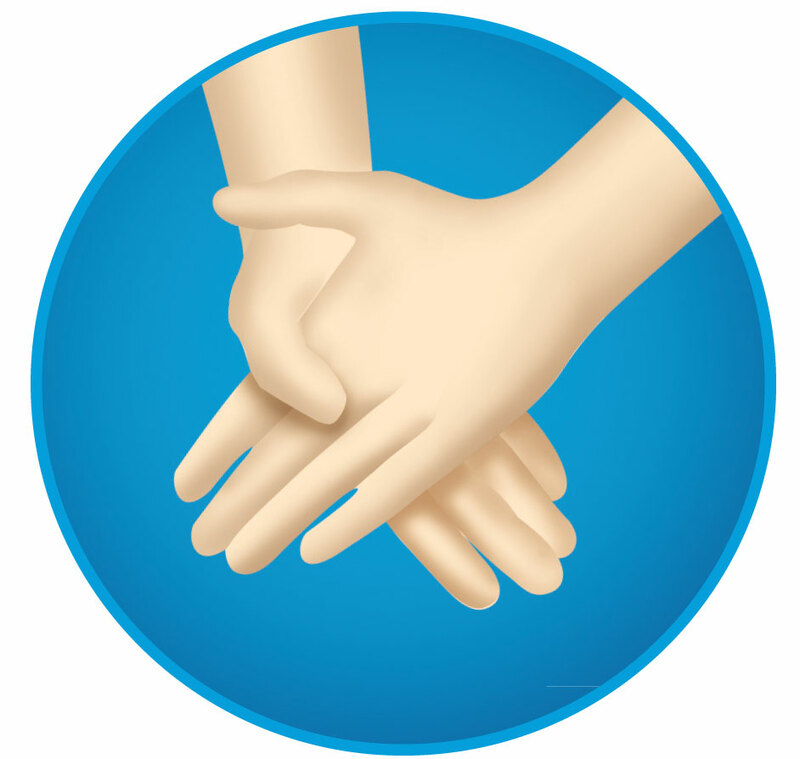 Many organisations promote a mandated regime for hand hygiene, for example the “5 Moments for Hand Hygiene”, promoted by the World Health Organisation, which is a model for many healthcare hand hygiene policies around the world. 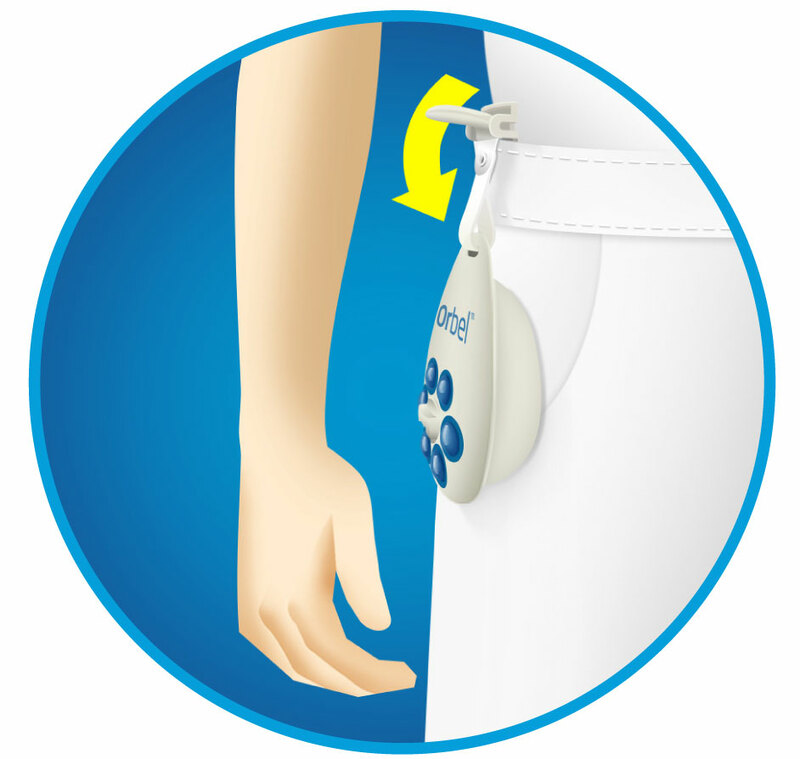 It clips onto the belt or pocket, convenient for the user. The user simply swipes one hand across the unit to obtain sufficient gel, and rubs both hands together to distribute the gel evenly. 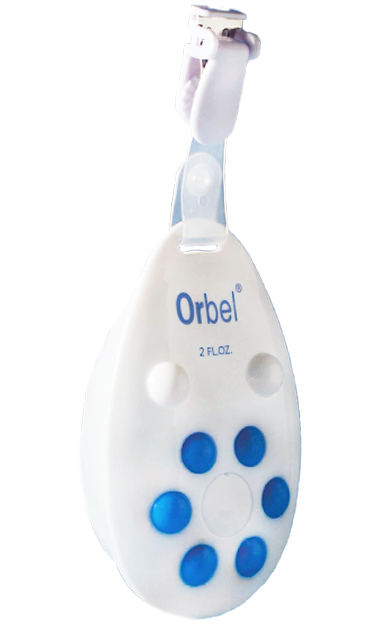 The Orbel™ is supplied with high quality, highly effective, alcohol-based sanitiser gel. Orbel will vigorously prosecute misuse or infringements of its intellectual property. Use thereof is permitted only by License, in writing. 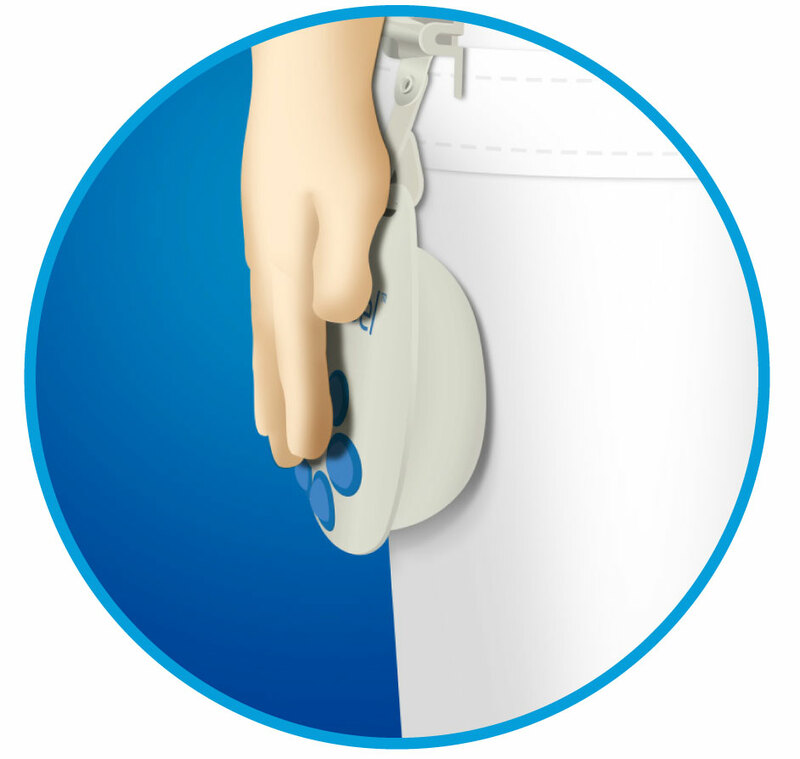 Remove the plastic cover and fasten the Orbel™ to your waistband or another secure point of attachment. 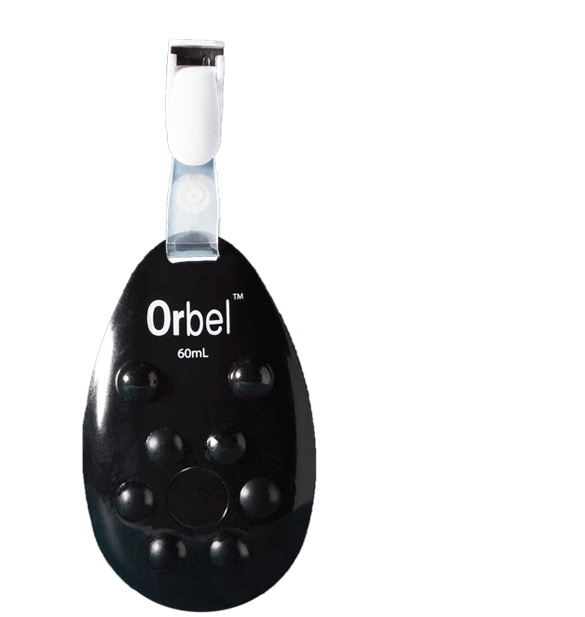 The Orbel™ must have a firm base, such as the upper leg or thigh, to allow pressure to be applied to the face of the applicator. 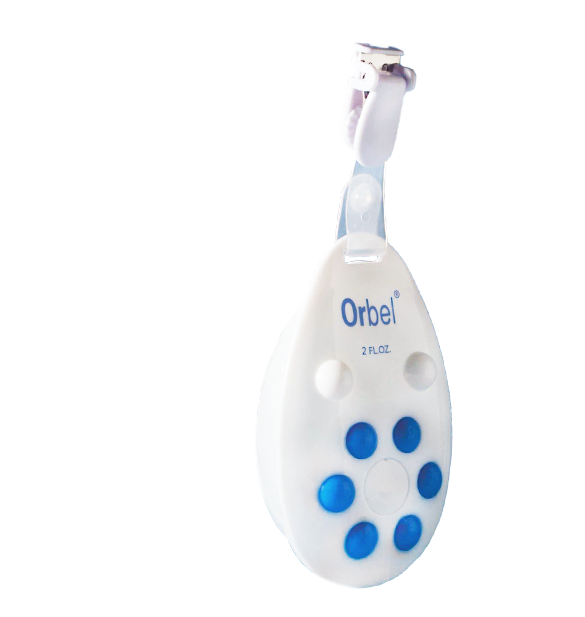 Roll your whole hand down the Orbel™, from the tips of your fingers to the ball of your palm, applying firm pressure. Repeat as necessary to dispense sufficient gel for Step 3. Rub your hands together, taking care to spread the gel across all parts of both hands, including between the fingers and around the thumb. Hand-hygiene experts recommend the hands should feel wet for 15 seconds for effective hand hygiene. Replace the plastic cover when not in use. Observe the “Best Before” dates on the packaging. Note the warnings printed on the back of the Orbel™.